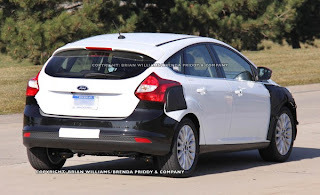 Sometime in late 2011, Ford is supposed to start delivering electrified versions of its new Focus to dealerships. While Ford hasn’t given us any “official” pictures of the Focus Electric, these appear to be spyshots of the upcoming electric car. Due to arrive in late-2011 as a 2012 model, the Focus Electric will use a lithium-ion battery pack sourced from LG Chem. To help keep these batteries cool, the pack will be liquid-cooled to boost both lifespan and performance. 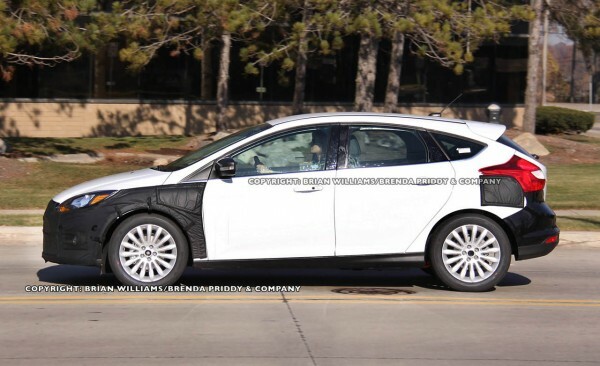 Ford is expecting a range of approximately 100 miles, which is on par with the Nissan Leaf electric due soon.